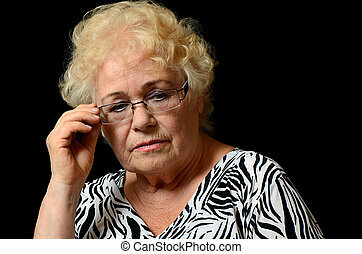 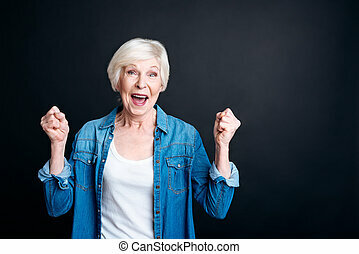 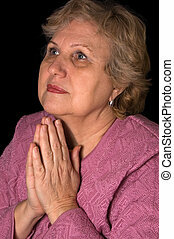 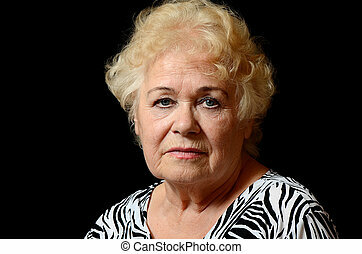 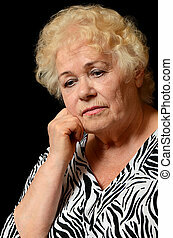 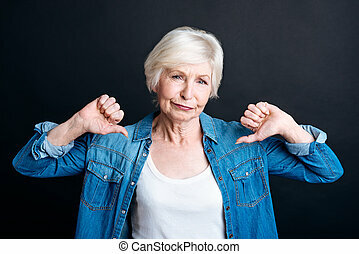 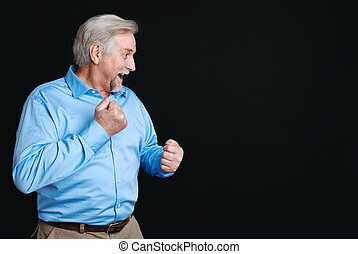 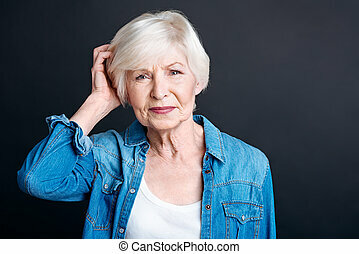 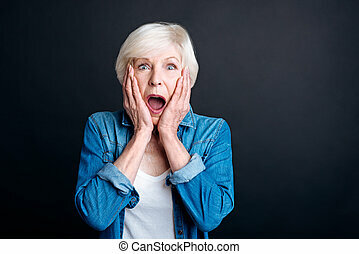 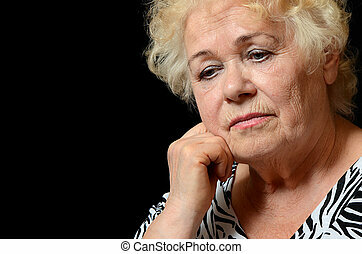 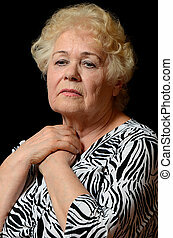 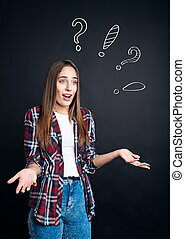 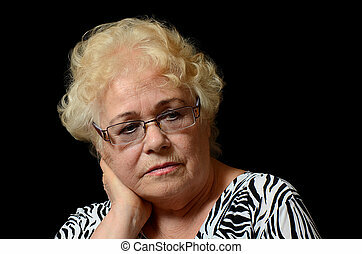 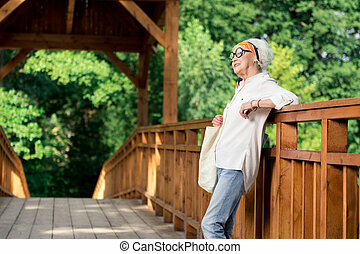 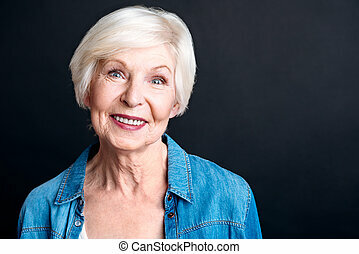 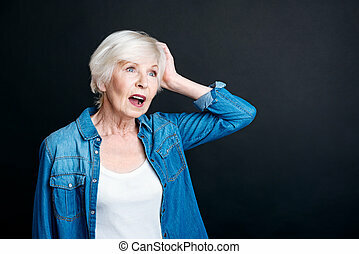 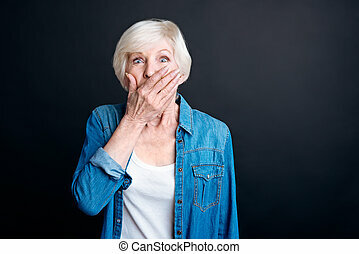 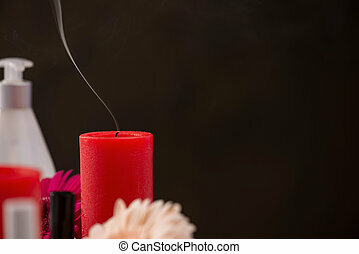 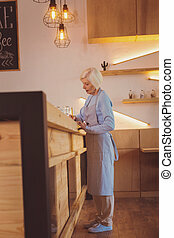 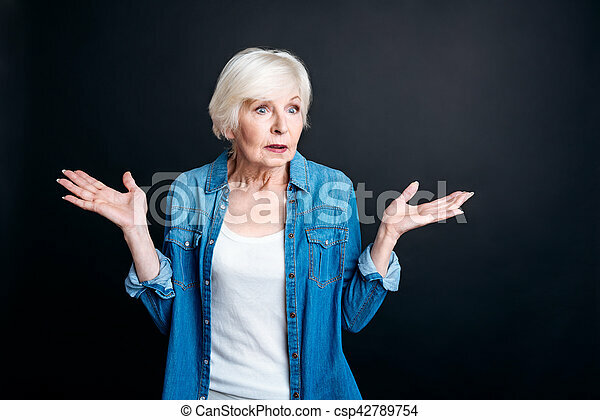 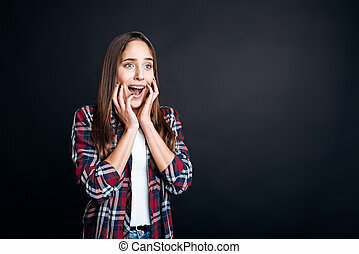 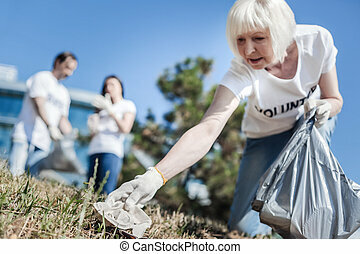 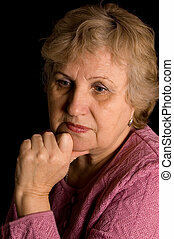 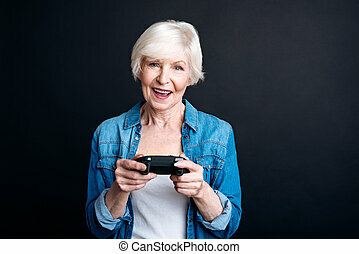 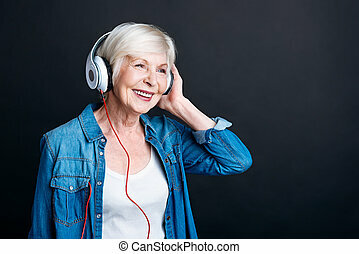 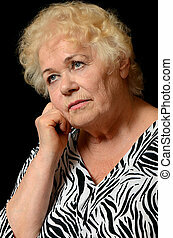 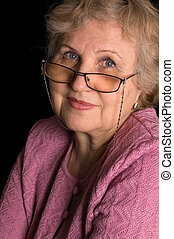 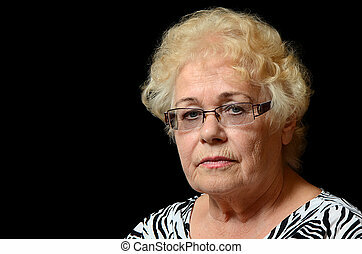 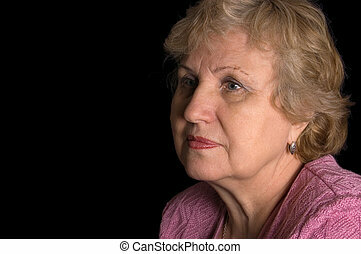 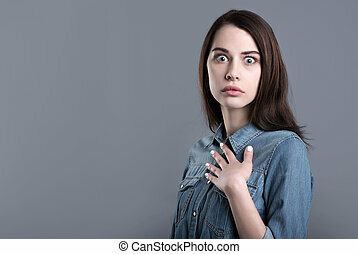 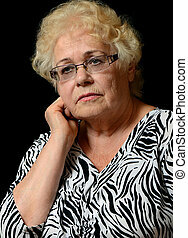 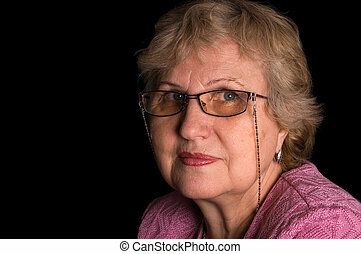 Confused elderly woman standing on black background. 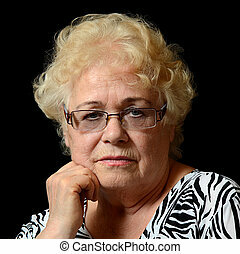 Completely dissatisfied. 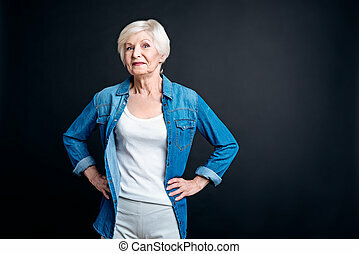 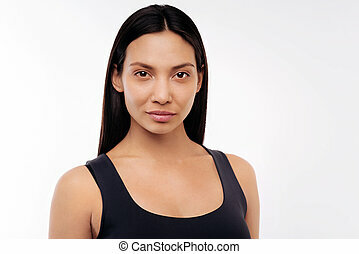 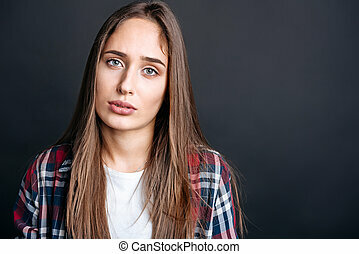 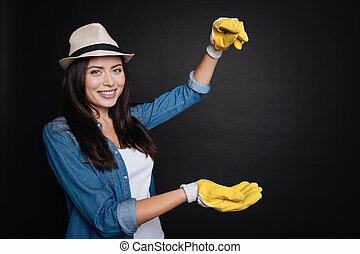 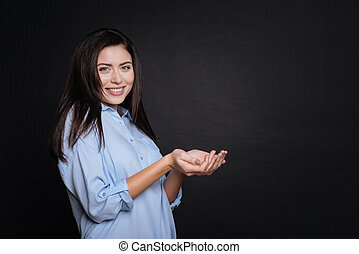 pleasant confused woman holding her hands aside while standing isolated on black background. 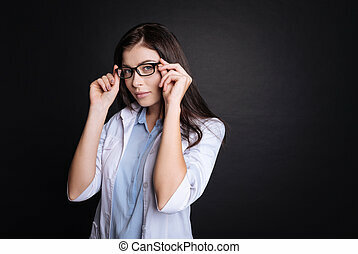 Innovative thinking. 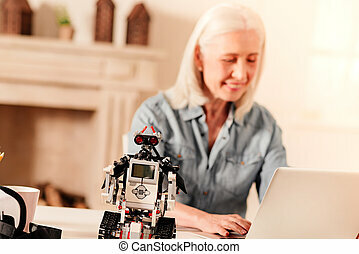 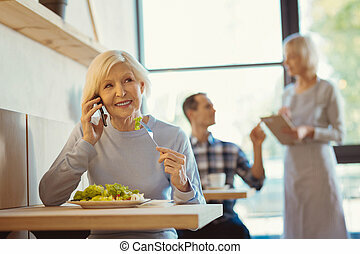 Selective focus on a robotic machine decorating a table of a senior woman working in the background.